On Friday, 22 September an exhibition titled “Building a Community – Estonian Architects in Post-War Toronto” organised by the Museum of Estonian Architecture in collaboration with the Museum of Estonians Abroad opens at Tartu College in Toronto. The exhibition is dedicated to the Estonian architects who immigrated to Canada during and after the Second World War. The exhibition opens with a thematic symposium where in addition to the curator Jarmo Kauge, prof. Mart Kalm and local architectural experts will also be speaking. The exhibition, which is the result of many years of research, focuses primarily on architects born in Estonia whose careers or studies in Europe were interrupted by the war and also those who gained their architecture qualifications in Canadian universities in the decades after the war. It was during this period that Toronto rapidly grew into the multicultural metropolis that it is today. Along with others, Estonian architects played an important role in Toronto’s architectural landscape. Names like Mihkel Bach (1916-1972), Ants Elken (1917-2011), Uno Prii (1924-2000), Elmar Tampõld (1920-2013), Taivo Kapsi (1935-1967) and Henno Sillaste (1936-2013) are known in Toronto, and their work is well known in architecture circles. Uno Prii’s work has been especially successful as new generations discover the energetic modernism of his work of the 1960s and 1970s. The best examples by Uno Prii and also Taivo Kapsi are under heritage protection. 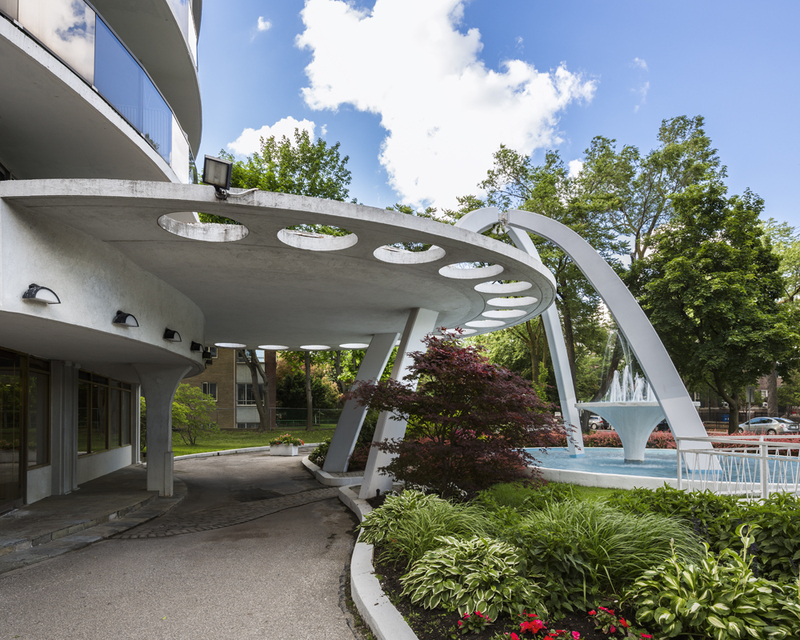 Mihkel Bach, Ants Elken and Taivo Kapsi, who all taught at the University of Toronto, played an important role in the spread of Scandinavian style modernism in the urban landscape of Toronto, which was still fairly provincial after the Second World War. Elken’s impressive 30-year university career was crowned by him being awarded an emeritus professorship. His first work – the first stage of the Seaway Hotel (unfortunately now demolished) – was awarded the prestigious Massey silver medal in 1955. A separate chapter in the architecture of Toronto are the buildings designed by Estonians for the Estonian community. These include the Saint Peter’s Estonian Evangelical Lutheran Church of Toronto, Tartu College, the Toronto Estonian House and many cooperative residencies and care homes for the aged. These dignified buildings bear witness to the enthusiasm and energy of Estonians living in exile, not to mention their community spirit. The exhibition at the Museum of Estonians Abroad (Tartu College, 310 Bloor St W, Toronto) is open until 12 February 2018. In the spring of the same year the exhibition, in an amended form, will be on show in Estonia at the Museum of Estonian Architecture in Tallinn. A substantial catalogue and collection of essays will be published in time for this.